UNICS Kazan played a near-perfect game against Zenit St. Petersburg, winning all four quarters on its way to a 67-82 victory. UNICS finished the game with excellent shooting percentages: 69.7% inside the arc (23 of 33) and 47.1% from downtown (8 of 17). Zenit was limited to 46.9% two-point shooting (15 of 32) and 32% from deep (8 of 25). UNICS also controlled the boards, outrebounding Zenit 23-30. UNICS had a performance index rating of 99 and held Zenit to just 60 - a new season-low. By winning at Yubileyny Sports Palace, UNICS once again clinched its spot in the EuroCup Quarterfinals. 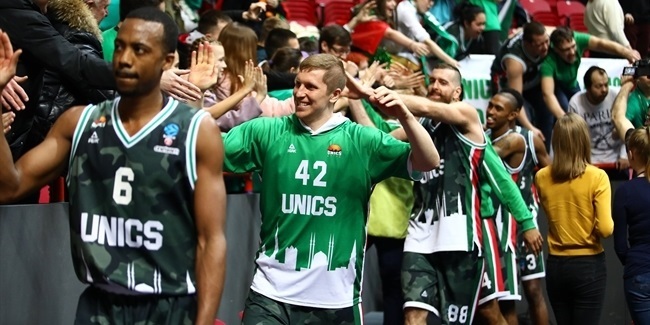 UNICS advanced to the EuroCup Quarterfinals for the eighth time in 12 EuroCup seasons. It has reached this stage in six of its last seven appearances in the competition. In other words, if UNICS is around, it is easy to see the Russian powerhouse in the higher stages of the competition. 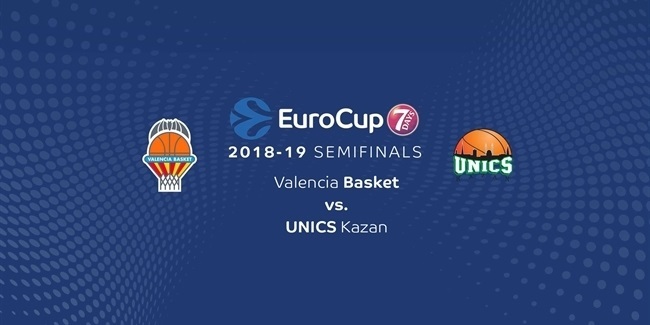 UNICS reached the EuroCup quarterfinals only twice in its first five campaigns in the competition. In 2007, UNICS swept Montepaschi Siena in the quarterfinals before losing against eventual champion Real Madrid on point difference. A year later, UNICS advanced to the EuroCup Final Eight, but Akasvayu Girona stood on its way to the semifinals. It took UNICS three years to return to the EuroCup Quarterfinals, but did it in style. In 2011, UNICS eliminated Pepsi Caserta, Cedevita Zagreb and Cajasol Sevilla to lift its only EuroCup trophy and with it the right to play in the Turkish Airlines EuroLeague for the first time. After that, UNICS only missed the quarterfinals in 2016 and reached the semifinals in 2013 and 2015 and the finals in 2014. 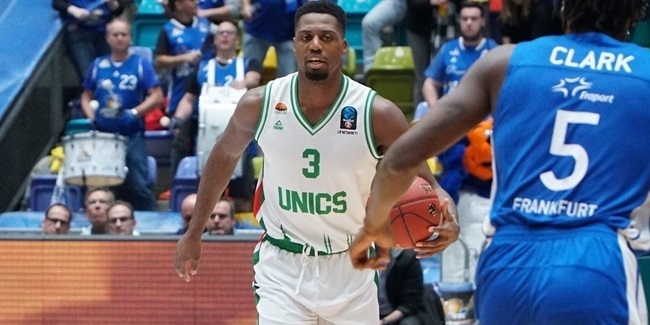 UNICS has advanced to the semifinals five times in its seven quarterfinals appearances. First things first, however: UNICS will battle for first place and home-court advantage in the first playoffs series when it hosts Morabanc Andorra at Basket Hall Kazan next week. "The goal is to play every game seriously, try to do our best to achieve the level that is closest to our abilities," UNICS head coach Dimitris Priftis said after the game. "Which is not easy; it is difficult. But this is our main goal."